A heartwarming story about a young boy who is on a quest to find out how his dear old friend Treffy can get to "home, sweet home." 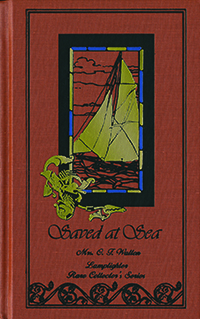 One of the most famous children's novels of the Victorian era, Christie's Old Organ continues to gently draw tender young hearts to the saving knowledge of Jesus. Filled with emotion, this heartwarming story tells of the unique friendship between a poor, homeless boy and a sick old organ grinder. It is in the melodious tunes of that old organ that Christie discovers how his dear friend Treffy can find his "home, sweet home." From N. Rondello of Eustis, Florida on 12/9/2018 . 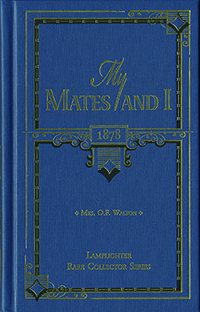 This book is on the Robinson Curriculum reading list. Beyond that, it is just a great book and my 13 year old daughter love it. From Janice Robinson of Neosho, Missouri on 2/15/2018 . The book used a song on an old organ to convict an old man about a home in Heaven that he could obtain. It took a young man and a clergyman to get Christie on the right path to that Heavenly home. I enjoyed the book. From Rachel Sapp of Columbus, Georgia on 12/5/2017 . 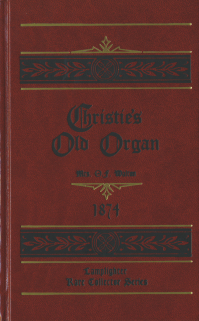 Christie's Old Organ is a beautiful, timeless story about redemption that everyone must read! My 10-year-old daughter and I sobbed our way through it and now I am telling everyone I know to read it! Do not miss this title! It is phenomenal! From Heidi Rayward of Mount Crosby, Queensland, Australia on 11/26/2015 . True, this story will make you cry. Yet woven into this story is a very clear message of salvation with many of the doubts and worries the young and old contemplate about Jesus. This story is from a time gone by yet made me feel like I was there, just yesterday, facing those same anguish's of soul, a life empty of reassurance and questions about eternity just like Christie and Treffy. Exceptional Story - Highly Recommended! From Bookworm of Dunbar, Pennsylvania on 2/5/2014 . I bought this book on the recommendation of a friend who said it was a "gem," and I was not disappointed. "Christie's Old Organ" is indeed a wonderful story, and the Gospel is clearly presented in the story, which is a great plus as well. I would definitely recommend this book for all ages!